Robert Moore started his singing career in a Southern Baptist church, and that early heartfelt gospel truth can still be heard in the soulful delivery of his music. After stints as a public schools music teacher, he began his performance career, settling in Birmingham, Alabama. After 25 years there, he moved his scene to Portland, Oregon, finding a home and a following among the knowing jazz fans of that musically sophisticated city. His music has steadily grown in depth, passion and honesty during his 61 years on the planet. 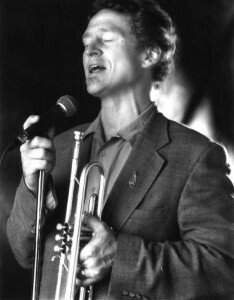 Robert’s well-seasoned, finely-honed chops on vocals, trumpet, and harmonica are bringing joy to a wider audience than ever. And as well-crafted as any of his albums are, don’t ever miss a chance to see this veteran performer and band leader put an audience in his pocket and carry them away.